Marshal Lucerne has been successfully grown in the UK for many years. 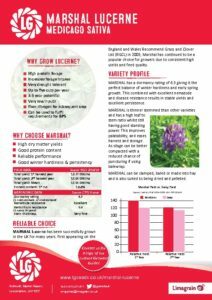 First appearing on the England and Wales Recommend Grass and Clover List (RGCL) in 2003, Marshal has continued to be a popular choice for growers due to consistent high yields and feed quality. A dormancy rating of 4.3 gives it the ideal balance of winter hardiness and early spring growth. Thinner stemmed than other varieties making it ideally suited to baling and wrapping. 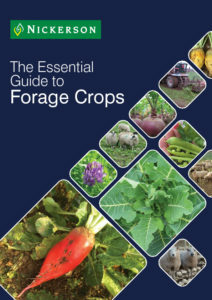 Best suited to lighter soils in the southern half of the UK. Marshal can be clamped, baled or made into hay and is also suited to being dried and pelleted.